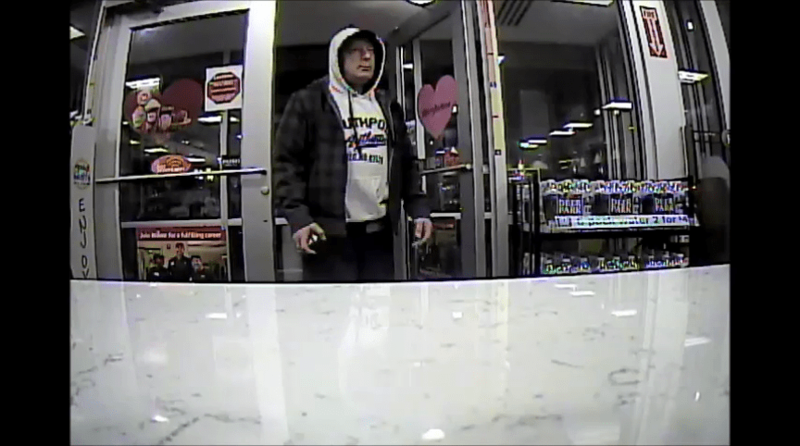 The Barnegat Police Department is requesting assistance in identifying the pictured male. The unknown male used a stolen debit card to make several purchases within Barnegat Township on 02/11/18. This short video clip is from the Wawa located at the intersection of Route 9/Bayshore Dr. A still frame picture has been attached in the comment section. Anyone with pertinent information is asked to contact Det. Cirulli at 609-698-5000 x215. This agency is requesting assistance in identifying the pictured male. The unknown male used a stolen debit card to make several purchases within Barnegat Township on 02/11/18. This short video clip is from the Wawa located at the intersection of Route 9/Bayshore Dr. A still frame picture has been attached in the comment section. Anyone with pertinent information is asked to contact Det. Cirulli at 609-698-5000 x215.